So last year it was Webkinz and now this year it is Zhu Zhu Pets – funny how things change so quickly and we move from one toy to the next. It is just how things go and when the kids are obsessed with a new toy they will soon be asking you to throw them a party based on that theme. Again just like last year when Webkinz were all the craze there was no Birthday Party Supplies available to go along with them and this year with the Zhu Zhu Pets it is the same thing. I helped so many parents last year with my Webfriendz Birthday Party Package based on a Webkinz Theme so this year I am helping again. 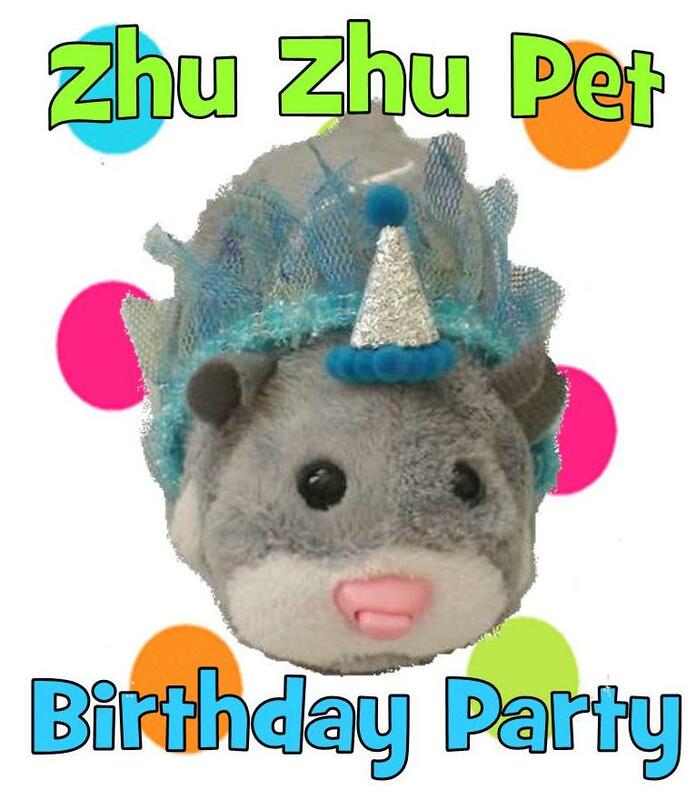 I worked really hard and put together a Zhu Zhu Pets Birthday Party Theme on my Party Blog to help parents in this situation. I am happy with how it turned out and I think I will be thanked again. 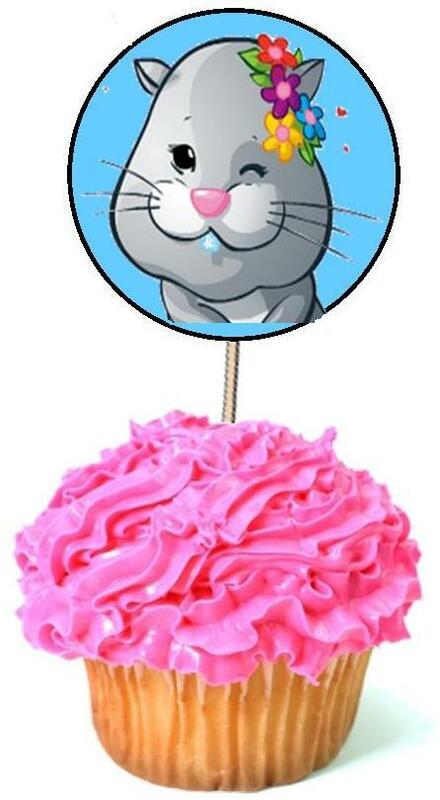 I came up with the perfect Party Supplies, Invitations, Party Favors, Cake and Cupcake Ideas, Crafts and even created a bunch of fun Zhu Zhu Pet Party Games and more. It is not easy planning a party when there is nothing available out there to help – well now there is and it is all laid out for you from start to finish. 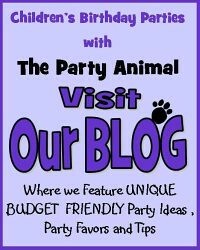 I plan to make sure my post is updated with all the latest party supplies as I find them. I just know once Christmas is past and the kids have their toys that parents will be scrambling as Birthdays come around. I have seen it happen before – so I did what I do best and took away that worry. With the holidays approaching us and all those new Stuffed Animals that will be given to your kids – you may want to think about where you are going to put them all. Every year before Christmas I go through my kids toys and weed out what they do not play with any more. I usually donate them by bringing them to a local store which accepts them or I have been also going on Craigslist or Freecycle and asking if there may be a needy family that could use some toys. I know this year there we be a lot of them. It is a good way to also get the kids to part with some of their things. Knowing they are donating to a good cause and giving a toy to a child that may not otherwise have any is a good lesson for them. Even with all the donations my daughter loves her Stuffed Animals and Plush and does have quite a bit of them she still cannot part with. This past year I discovered one of the best ways to organize them and it is with a product called The Zoo. The picture above shows her stuffed animals now organized and easily accessible for her to play with. I keep writing about this to get the word out to other parents for this has made such a huge difference in keeping them all neat and tidy. It also makes it easier for my daughter to find and play with them now vs. being all in a big bucket. I have written all about it here: Stuffed Animal Toy Organizers and you can also see other ideas for storing and displaying all those Webkinz and smaller plush your kids may have too. They are all my own pictures shown and what I am using myself. Trust me I am the parent where everything has a home and when it does I am very happy. You will also be happy when you see you have great options. I know you will thank me. Now you can play with both Michelle and Barack Obama with the new release of the Michele Obama Action Figures. I have to say my Squidoo Lens – Barack Obama Toys and Collectibles is one of my favorites and it full of some of the best Presidential Toys on the market. Michelle Obama Action Figures are the perfect addition to the Barack Obama Action Figures – now you can play with them both. Think of the fun you can have now. Not only with just them, but the many great toys that are on the market. I have also added a bunch more new items like a Barack Obama Action Figure Craft where you can color your action figure – so now he can be whatever color you want him to be. How about a Barack Obama Rubber Ducky – think how much fun your next bath time could be with this Duck. You can sing “Rubber Baracky you the one – you make bath time lots of fun…..” What a great gift idea for the holidays – Strange – Yes – Fun – Definitely!!! You will also find a Barack Obama Pinata – I could just imagine the possibilities for that. Talk about some added fun to your party. I can go on and on but if you want to see all the fun – Stop by and see what else I have found and the many ways you can Play with the President. Visit – Barack Obama Toys and Collectibles. One thing I know is that if anything you will have a good laugh!!! The Dora Links Doll is the new grown up Dora that is an online interactive doll. When you buy Dora Links and hook her up to your computer it opens an online world where the kids get to play games, create rooms, dress up Dora, Explore and solve mysteries and so much more. In addition to that the doll itself also changes as your child plays – her eye color can change – her hair can grow and jewelry changes colors and more. The other part I really like is that the girls can play with Dora offline as well. This is a really cool thing – when your child is playing with the doll off line it will alert them when a new mystery has been added to the website with a Magical Alert System. You can also buy Fashion Packs, Accessory Packs and Rooms which of course comes with a code that unlocks the items online as well. Kind of reminds me of Webkinz in the way it works. You can also buy Dora’s Explorer Girls Collection – Her Friends – Alana, Kate, Emma and Nayia. I really think Mattel created a great product that will appeal to a lot of age groups and is also educational too. I know my daughter learned some Spanish from watching the show and they can also do the same playing the game. If your daughter is a Dora Fan then I think this is a great choice for a gift. I like it so I give it 2 thumbs up!!! To see all The Dora Links Doll and Explorer Girls Collection – Click Here . You can also visit my other page for more Hot Toys for 2009. Have you seen the new Twilight Scene It Game yet? Well it happens to be one of the Hottest Games for Christmas 2009. I have never really played any of the Scene It Games myself, but they are so popular and Twilight Scene It has many people buying. The Twilight Movies and The New Moon Movie have been so liked by many and this game will test fans knowledge of the movies, books and more through interactive trivia. It is a great game for the kids to play when hanging out or for the entire family. The dazzling Twilight DVD trivia game with heart-stopping movie clips! Scene It? Twilight Edition features hundreds of clips, trivia questions and on-screen puzzlers from the Twilight movie phenomenon! Race your friends around the board to be the first to enter the Twilightning Round and find out who knows the most about this riveting saga. Scene It? is more than Twilight trivia. Experience customized mini-games and bonus activities that will challenge your observation, memory and puzzle solving skills and that are unique to Scene It? Twilight Edition. This game will quench your thirst for more Bella, Edward, Jacob and the gang while you relive your favorite Twilight moments again and again! You can get the Scene It games in so many of your favorite shows and movies and I think they would make for some fun gaming nights. I do not consider myself an expert in too many of them, but I would sure like to try and may be getting one of the many titles for under my tree this year. Sad to say, but I think either the Disney Scene it or Nickelodeon Scene It games may be more my speed since that is all that is ever on the TV in my house with the kids. All I know right now is the Twilight Game is selling like HOT cakes – so if you or anyone you know is a fan – this is the perfect gift for the holiday. To all the Scene It Games available – take a look : Scene It Game Titles . You can also visit my page on Hot Toys for 2009 and see what some of the other Top Sellers are for this holiday. Ok Zhu Zhu Pet owners wait until you here this news: You can now find Outfits for your Zhu Zhu Pets. You heard me – you can dress up your favorite Zhu Zhu Pet Hamster. These are not official Zhu Zhu Pet items, but homemade to fit your on your Hamster. You can find lots of fun Zhu Zhu Pet Dresses in many great designs and for even more fun – How about a Zhu Zhu Pet Costume . I have also found lots of fun Zhu Zhu Pet Sleeping Bags with Pillows so they can rest comfortably at night so they are ready to go in the morning. Some are even sold with the matching dress – now that is smart. I think this is a goldmine for those who came up with the idea of making an outfit for the Zhu Zhu Pets considering they are the Hottest Toy on the market this holiday season. I also think they make great stocking stuffers for the kids who love these Toy Hamsters. So have fun with your Zhu Zhu Pet Fashion Shows!!! I am so excited for the new Disney movie The Princess and The Frog and the introduction of Princess Tiana – Disney’s first African American Princess. It has been a very long time since Disney has had a new princess for all the little girls to idolize. I have to share a great Squidoo page I put together that has everything needed to have a Princess and The Frog Birthday Party . I worked very hard on this one and it includes everything from the Official Disney The Princess and The Frog Party Supplies, Invitations, Games, Crafts, Free Printable Games and a lot more. It is definitely a one stop shop to putting this theme together and I will keep it updated with all the latest supplies as they are released. In addition to that I have put together some great party kits to go along with this celebration on my website. I am now offering Stuff a Frog Kits – these were put together to go perfectly with The Princess and The Frog Party Theme and specially priced. Each Kits comes with a Stuffable Frog offered in two size choices – 15″ and also 8″ included is a KISS Sound Chip, Pink Princess T-Shirt, Wishing Star, Stuffing, Custom Birth Certificate and Directions. You will also find on my website Chocolate Covered Rice Krispy Treat Love Frogs and Kiss Lips that are also perfect to go along with this party theme. I have to say I am so in love with the great party colors that were chosen for the party supplies – I think they are so pretty with the purple, green and blue. I give Kudos to the Disney people behind designing those – they are beautiful. I also created a Hubpage on Princess Tiana and some of the new toys starting to take over the market – and we all know they will take over the market. Disney never lets us down when it comes to marketing and Princess Tiana just opened up a new door to let the flood flow. I am looking forward to seeing how they will change all the existing merchandise to incorporate the new princess. Something tells me we will see a Huge influx this 2009 Holiday Season as the movie is set to be in theaters in November. Perfect timing Disney!!! So even with the number of toys currently available at this time – there is no doubt in my mind it will double. Disneyland and Walt Disney World plan to add a Mardi Gras-style musical cavalcade called Tiana’s Showboat Jubilee for the 2009 holiday season, according to theme park officials. This sounds like so much fun. This special treat is only for a limited time and opens in Disney World on October 26th, 2009 and will only run until January 3rd, 2010. I think if you can get there to see this it will magical. I am sure Disney Parks has something in the works for a permanent attraction based on The Princess and The Frog, but we will have to wait and see. Ya know my dad works at Disney World (yes I am lucky) so I will have to see if he has any inside information. Hmmmm.